Come by and see us. 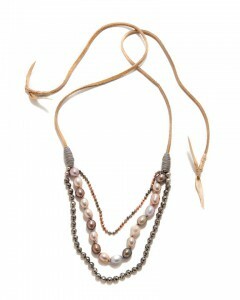 We have some great new jewelry by Jordan Alexander and Mizuki. You can also find some of our pieces at the Shops at 5807 and Bliss at 5812. After much debate, we have decided to do some rearranging with our holiday calendar. 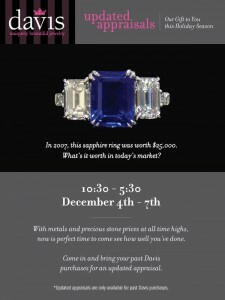 Instead of having a pearl trunk show for Christmas, we have decided to do something even better. Next week, from December 4th-7th, from 10:30-5:30, we are updating appraisals. Come in and bring your previous purchases and we will update all the information. With metals and precious stones at an all time high, now is the perfect time to see how much your piece has gone up in value. This year – we are giving back to our customers. 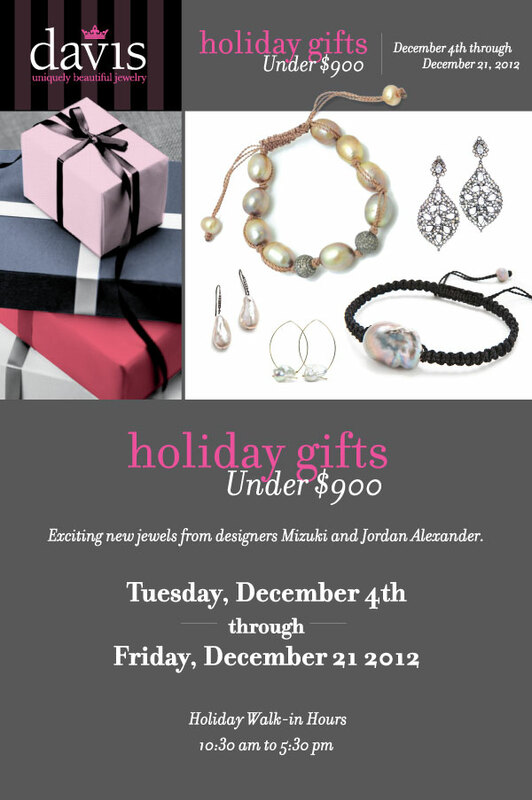 While you are here, come take a look at jewelry from our new designer, Jordan Alexander. Her combination of colored pearls in all shapes and sizes mixed in with diamonds is perfect for the holidays and for that layered look. 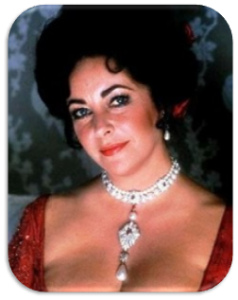 We have her pieces, here at Davis Jewelry, at the Shops at 5807 and now at Bliss at 5812 Grove Ave.
One of the most famous women to wear pearls and really put a famous face to the gem was Elizabeth Taylor and one of her most precious pieces of jewelry in her collection was the Peregrina Pearl. 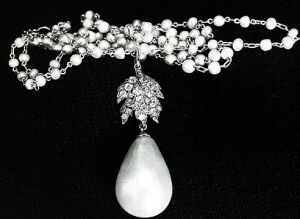 The size of a pigeon’s egg, this pearl has a colorful history and dates all the way back to the 1500′s. 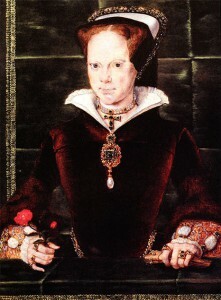 It was found by a slave diving in the Gulf of Panama and made it’s way to Queen Mary Tudor. Eventually, in the 1800′s, it became part of the French Bonaparte family but they had to sell it to settle up some debts. Once they sold it, very little is known about the pearl until it resurfaced at an auction in 1969, where it was sold to Richard Burton for $37,000. 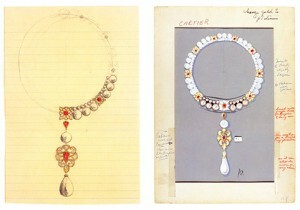 Then it wasn’t long before Elizabeth brought the pearl to Cartier where she worked with a designer there and had it transformed into the necklace seen below. Some people say she had it redesigned because it was scratched by the puppy but she says it was to bring it back as closely as possible to it’s original setting while still imparting her sense of style. Clearly, this pearl can stand the test of time and though styles and trends come and go, you can always recreate pearls to make them more current or fashion forward. 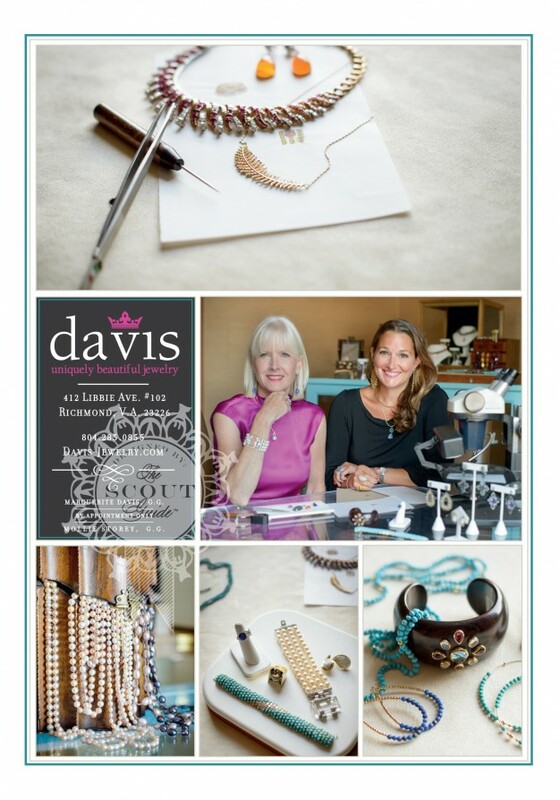 Join us for our Holiday Pearls Trunk Show, December 4th, 10:30-6:00. 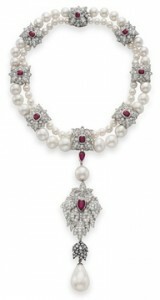 If you want stunning pearls, you only need to remember one word – glow. 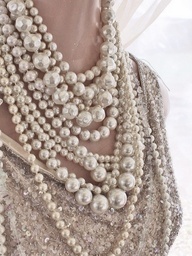 Gorgeous pearls GLOW. They have “life” when you put them on your skin. Always perform this easy test. 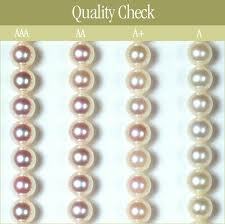 Put the pearls on and then look at them on your neck (or ears, etc) in a mirror from a distance of 10 feet or so. Do they “glow”? Do they have that special something? Or do they look somewhat flat? Next think about color. Try to buy something that has a truly delicious color. 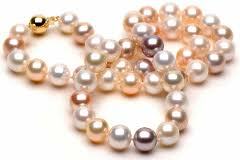 Sometimes pearls have a basic color (called body color) and also a hint of another color (called overtones). Overtones are wonderful. 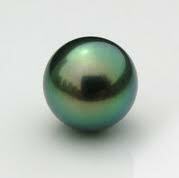 Look at this black pearl with both strong green and faint pink overtones. Forget everything else. 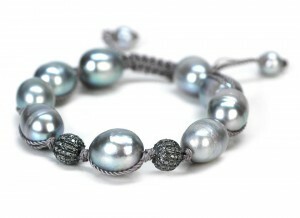 If you buy pearls with both that special glow and a really yummy color, then you’ve hit the jackpot!